Tour de France stage 5 was announced as a sprint stage. The peloton had to cover 189.5 kilometres between Arras and Amiens on a course without any hills. The wind could be an extra factor in that region. It did play its role, but eventually the stage ended with a bunch sprint. 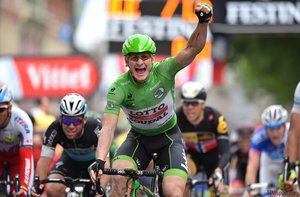 André Greipel won the stage, his second victory in #TDF2015 and reinforced his lead in the points classification. 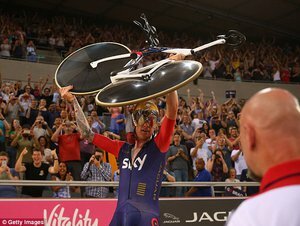 On Sunday June 7th, surrounded by thousands of cheering spectators in the sold-out Lee Valley VeloPark, Sir Bradley Wiggins rode his way into the Record books! Bradley rode 54.526 kilometers in, what has been referred to as, the "cruelest" hour, beating the current record by an astonishing 1.589 kilometers. Team Maxmo is taking part in the Race Across America, RAAM, the hardest cycling race in the world. The team supports children of the palliative care department Sternenboot of University Hospital Duesseldorf. Rudolf Scharping took the patronage for this charitable event. The miles undertook by our cyclists over the duration of the course will be sponsored by both companies and private investors; each mile costing €40. With the sponsorship money raised we aim to fulfill the last wishes of the children of Sternenboot, University Hospital Duesseldorf. 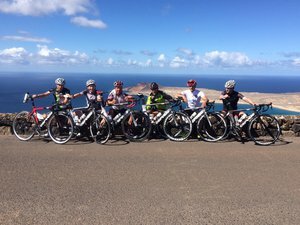 Of course SRM is contributing to the charitable cause as the team needs the best equipment in order to take on the challenge and highly demanding training. Therefore the athletes train by SRM standards based on their individual level measured in watt but also together in regular team simulations. During the race itself the athletes of course can rely on our SRM measuring devices which will support them in order to not just finish the race but also achieve a top finishing rank. The hunt for records has always fascinated people and is a driving force behind technological progress. The cycling world offers a variety of time and distance records, with the Hour Record most popular today. As the recent achievements by Jens Voigt and Matthias Brandle have shown, these performances are no longer conceivable without the use of power meters. Performance data provided by the SRM Training System has proven to be essential in training and preparation as well as during the official record attempt. With Gold Standard precision and scientifically proven accuracy, SRM has been the choice of all athletes with 'record setting' inspirations! Most recently, the Velocipede team of University of Liverpool, has incorporated SRM in their research projects and are now benefiting from SRM's 30 years of knowledge and experience in power measurement application. The ULV team consists of eight enthusiastic engineering students. 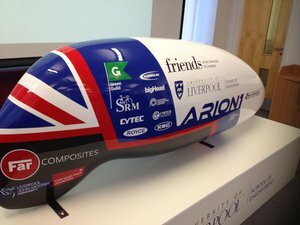 In a two-year project they want one from a human-powered vehicle (Human Powered Vehicle, HPV) construct, with the current speed record may be surpassed flying over the 200 m. Currently, this record is the men at 133.78 km/h and for women at 121.81 km/h! There is an SRM Training System Science aboard the ARION 1, as this HPV is named. The data obtained by the SRM will help to advance and improve the performance of the vehicle. The next record attempt will be set up at the World Human Power Speed Challenge in September 2015 in Battle Mountain, United States. 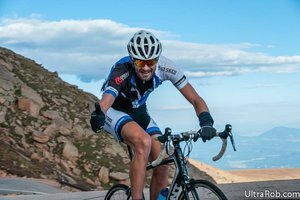 Pikes Peak Cycling Hill Climb - Colorado Springs, CO This is the same course that the International Auto Hill climb has been using for 85 years. Cyclists negotiate over 154 turns and climb over 4,700 feet in 12 miles to reach the summit. The epic ascent combined with bone chilling temperatures, 40 mile per hour winds and a dense fog limiting visibility at the summit made this year’s event a true challenge to every rider! coscycling.com SRM athlete and Colorado Springs local pro, Kalan Beisel, shared his SRM data from the day's adventure.